In an ecosystem, each organism has its role and purpose. Disturbing the balance of an ecosystem can be disastrous for all the living things relying on it. Each ecosystem differs in size and components, but the important thing to remember is that no matter the size, it’s a symbiotic community. It’s no different within our human community, where each one of us relies on each other and its own resources and interacts with its environment. If I separate myself from certain people, countries or race, I disturb the balance of the whole system. We all have a role and a purpose in this system and everything I do, affects this balance. The 4 minute video shows how vital each role is within our ecosystem and clearly reveals, that when one part of their system goes missing, apart of our world goes missing too. Powerful video…if my memory serves me on a book I read, the wolves were brought in from the more abundant population in Banff National Park. 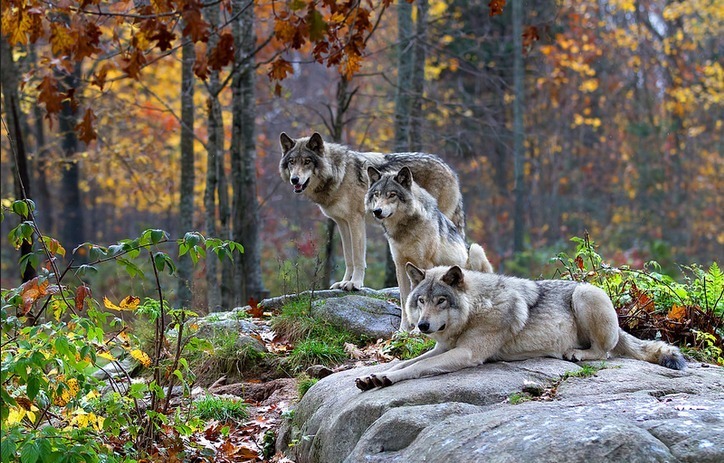 Beautiful, The wolf is one of my favorite animals that remind us of our own power. What an amazing and beautiful post Karen. Thank you! Wonderful post…right ‘down my alley’! I have seen this research and others like it, and right now I’m worried for our environment where we humans are connected to everything else and vice versa. What drives me crazy is that even though the science is evident, there are many who want to see them gone. I wish more people understood the immutable laws of nature! Wow! Karen that story is amazing yet not surprising in some ways we all know everything has its place and job to do and when it becomes unbalanced it sets off a chain of events. Lots to think about in that video thanks for sharing. Ecosystem is everything. I have seen this video before, and love it each time. I love reading about old growth forests and everything that happens underground too! Everything is interconnected. Everything. Balance is the key.